Hello, welcome to Phuket Photo PROjects! My name is Karim Khamzin, and I shoot professional photos here in beautiful Phuket. The photo you see is of myself on the left, and our graphic designer Bird. The photo was taken in our studio as we tested the set up of all of our lighting/flash equipment. We recently received new flash radio triggers called Radio Popper (Thanks to my son Arseni, in Vancouver). We decide to test them and connected them to all of our flashes. We have more flash in our arsenal than we could fit in that photo . The new triggers worked great. I’m probably the only photographer in South East Asia who uses them. The company only distributes in the USA. I hope this will be change soon. The radio slaves are very good. They are the best from what I’ve tried. 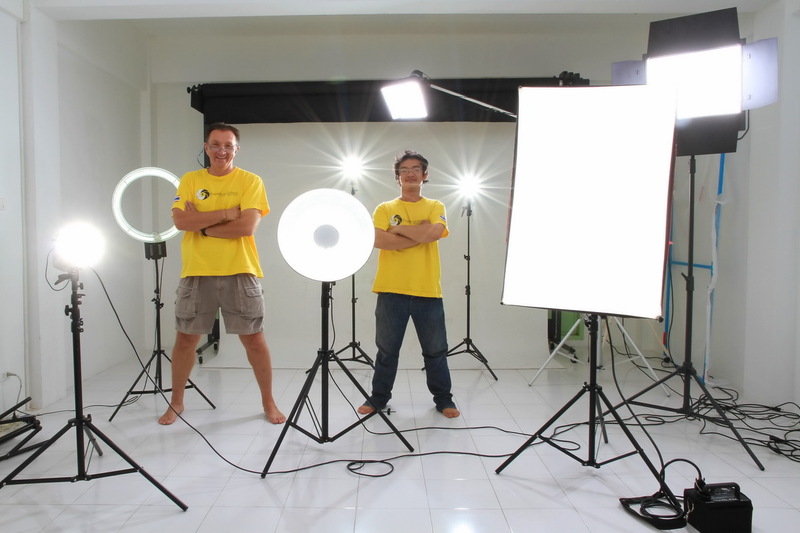 Believe me, we tested many different systems, (many Chinese, Elinchrom, Bowen,Pocket Wizard). I think we found the ones that we can use!